Back in 2002 before Dwayne ‘The Rock’ Johnson had perfected his personal brand of star vehicle, he starred in wacky genre fare like this spin-off from the second remake of the The Mummy franchise. Here The Rock plays a warrior with the power to continuously stumble into rooms filled with horny semi-naked women, making it the randiest historical epic since Caligula. 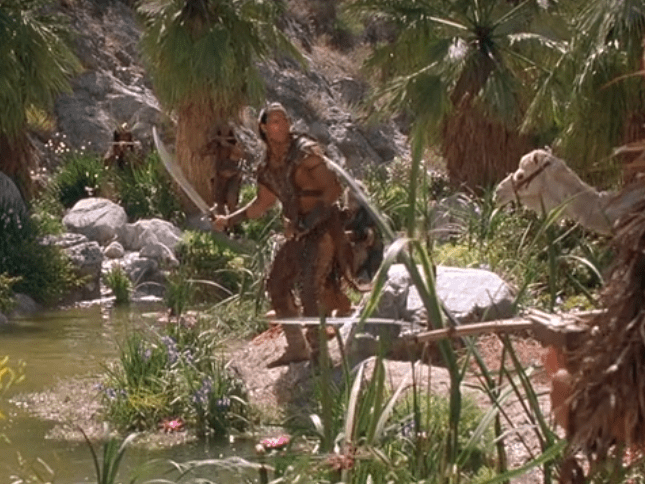 First introduced as the villain in The Mummy Returns, this prequel goes back 5,000 years to when The Scorpion King was still a good guy, in what is possibly the earliest prequel in cinema history. It’s like doing a Jurassic Park prequel set in dinosaur days. The story is more interesting than it could have been, being simple enough to follow with minimal effort, but not so simple as to be totally boring. Although disappointingly it never explains how he got such an outlandish nickname, and with his long black hair he looks more like The Scorpion Klingon. The film it most resembles is Conan the Barbarian, thanks to its corny dialogue (“The feast is over. To bed, men! For tomorrow we conquer!”), occasionally iffy special effects and the fact its main character looks like Thulsa Doom. 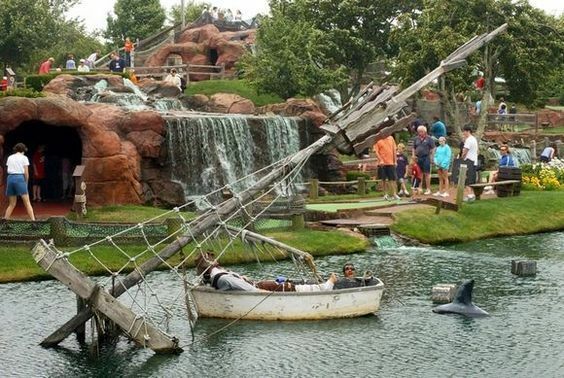 There’s some decent location shooting though, and some sets which look good, although there are others which look like the pirate-themed crazy golf in Great Yarmouth. The tale centers on a sorcerer with the ability to predict the outcome of battles (Kelly Hu), which is at least better than a plot based on a super-weapon. Dwayne Johnson does a decent job with an iffy script and it has a refreshing level of casual violence. It cleverly avoids being set in any discernible real-world location, presumably to avoid accusations of whitewashing. They carefully bypass cultural sensitivities while retaining a sense of familiarity by naming a city after the fictional but copyright-free Gomorrah. Scorpion’s sidekick Arpid (Grant Heslov) has a comedy Arab accent, and the sorceress appears to be of East Asian origin, while main villain Memnon (Steven Brand) could be Romulan. In fact it could be anywhere from Morocco to Iran, as long as it’s in a place where all women were young and only wore bikinis. The score is a mixture of sub-Shore and Zimmer fantasy tunes and hard rock, perhaps as a reference to The Rock. There’s not an overwhelming sense that they did a lot of research, in fact it feels like director Chuck Russell was primarily inspired by Waterworld. Bernard Hill plays a mad scientist in spite of the fact it takes place 7,000 years before the invention of science, and Scorpio even has a telescope. It also features The Green Mile‘s Michael Clarke Duncan who does a good job. It may be a mark of the terrible films we’ve reviewed on this blog, but I actually enjoyed this and didn’t think it was the most terrible thing ever. Unlike some of the films we’ve seen which have so little regard for plot they don’t even pass the minimum requirements to be labelled a film, here we’re told what’s going on. Or films with inaudible dialogue, action films with no action, or terribly acted films with not a single original idea. I know it’s a low bar, but The Scorpion King met the most basic requirements of film making, and that’s my favourite kind of film.